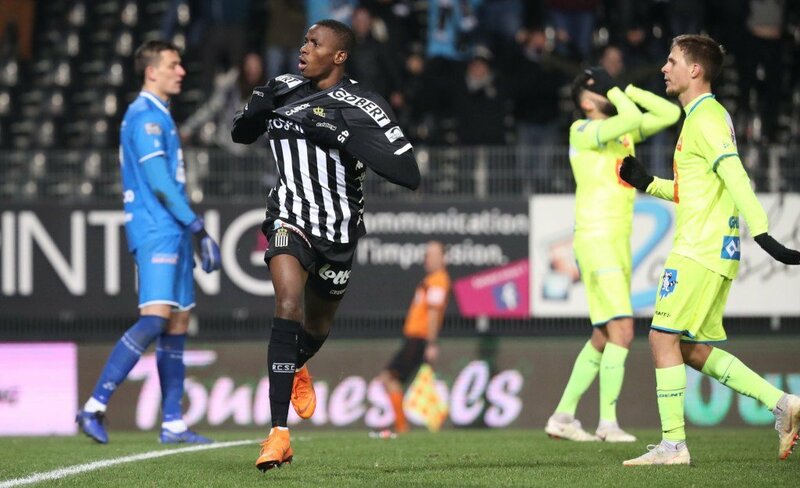 Super Eagles’ forward, Victor Osimhen continued to raise his stocks high in Europe, as he scored in Sporting Charleroi’s 2-1 home loss against KAS Eupen, AOIFootball.com reported. Having joined from Wolfsburg at the beginning of the season, the Nigerian started his 20th league game of the campaign, but it was the visitors, who shot into the lead, as Alessio Castro-Montes put Eupen ahead after seven minutes. Osimhen, however, leveled for the hosts on the dot of half time, when he netted his for the second consecutive week to bring half time scores to 1-1. But just like the first half, the visitors retook the lead seven minutes into the second half, when a Youssef Msakno strike condemned Charleroi to their 12th defeat of the season. The Nigerian will now head to Nigeria for the Eagles upcoming games against Seychelles and Egypt, as he also awaits the draws for the playoff season in Belgium.